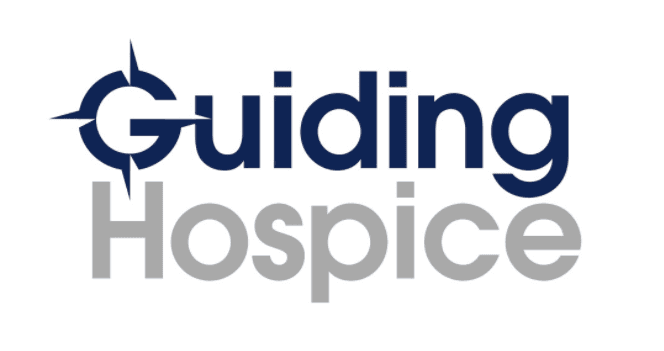 Welcome to the Guiding Hospice blog! Our goal for our blog is to create a space that can be both informative and inspirational, that can educate and also open the door for communication and feedback. In the future, you can expect to see posts that introduce you to our phenomenal team; reviews of books, movies, and television shows that expand our vision of death, grief, and legacy while also providing comfort and healing; testimonials from the families we've been so honored to serve; and much, much more. We are so excited about the possibilities for this space and welcome any ideas or suggestions to make it even better! The goal for today is to let you know just a little bit more about Guiding Hospice and what makes us tick. There are a lot of misconceptions out in the world about what hospice care is and what it is for. Usually, when people hear the word "hospice" a lot of negative connotations and words come immediately to mind. Death, sadness, pain, and hopelessness are often the first things people think of when speaking of hospice. Often times, people associate the need for hospice care with giving up, with despair, with defeat. One of the goals we have at Guiding Hospice is to turn those notions on their head. It is true that hospice services are brought into play at a time in life when things are coming to a close. Hospice care is intended for those who are terminally ill and know that they will not get better. There is no way around it, this is hard. Preparation for the end of life is no easy thing, not for the person who is ill and not for those who love them. However, we believe that hospice care is not about death. It is about life lived to the fullest, it is about quality time with family and friends, it is about enjoying every moment with as much comfort and clarity as possible. Hospice care is intended to help both those who are ill and those who love them most to face forward with joy and without fear. At Guiding Hospice our goal is to walk alongside our patients and their families as they truly live right up to the last moments and then to assure that they are at peace as they finally rest. Every team member at Guiding- every nurse, aide, social worker, chaplain, volunteer, member of our office/administrative staff- is committed to full and quality life for every person and family we serve. Guiding Hospice is committed to removing the fear from hospice care, to changing the narrative surrounding death and end of life care from one that is negative to one that is full of hope and joy. This blog space is just one place where we hope to get the conversation started. If you have any questions about Guiding Hospice or hospice care in general, or if you have any thoughts or stories regarding end of life care and hospice services you'd like to share, please feel free to contact us through the Contact page here on our website. We look forward to having you along on the journey!